> Handcraft>Handmade Terracotta>House and garden>Basket "grapes and lemons"
Head of Black horse "turned"
Head of White horse "turned"
Head of Bay horse "turned"
Tuscany has a very ancient tradition for terracotta. The treatment of clay, the raw material for the production of terracotta, began in the Middle Age: the craftsmen of the time produced extremely different shapes according to different use: so, besides bricks, they created terracotta pots for preservation and sale of olive oil and wine. Working tools were their hands and a shaped wooden bar to “smooth” (measure the object in progress). In past centuries handmade products were signed a fresco with a nail, including the name of the workshop or the master potter and date of production; after that they were cooked in a wooden oven. 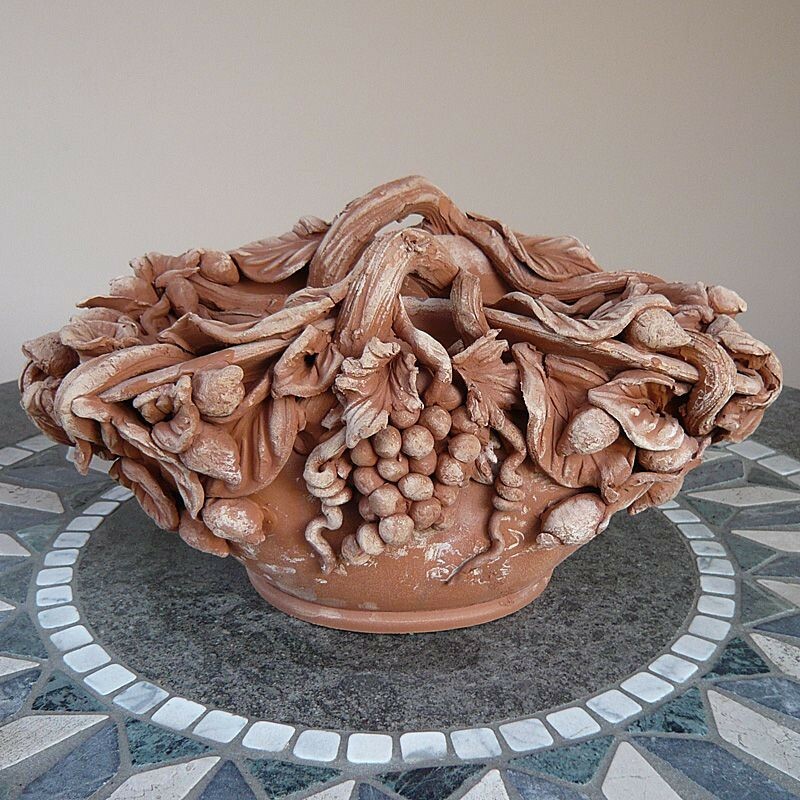 Along the centuries great artists have created art treasures in terracotta, even painted or vitrified, and many products have become decorative objects for parks and gardens. Nowadays in Tuscany skilful crafstmen produce similar handmade objects, according to the ancient tradition and the same passion of always. The raw material of every product is the famous earth of Impruneta (clay containing sand, calcium carbonate and iron oxide giving terracotta its characteristic red colour) and galestro: the result is a high quality level in the final product. An extremely antifreeze nature of these clays and their cooking at very high temperature (1070°C) give them a remarkable resistence to weather conditions.